This the second part of an article on MREs, the first part was posted yesterday. Civilian MREs (meals ready to eat) are a confusing issue. There are currently a number of manufacturers producing MREs for the civilian market. The three major manufacturers of MREs for the military (Ameriqual, Sopakco, and Wornick) have all started producing their own civilian MREs. 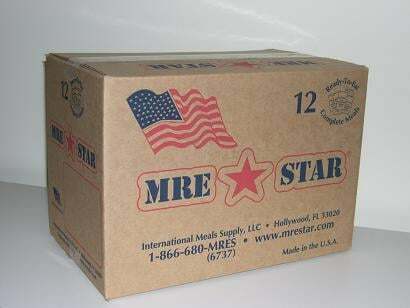 Recently International Meals Supply, a certified supplier of emergency rations for the Department of Defense, has started selling a brand called “MREStar”. 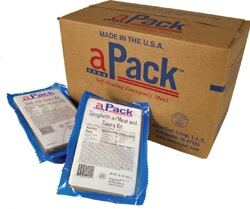 Ameriqual sells under the name APack; there are 12 meals to a case, 6 different menus. They provide approximately 1400 calories per meal according to their website. Their meals include a flameless MRE heater. Sopakco sells under the name Sure-Paks, each case includes 12 meals, two each of six different menus. They offer vegetarian options. Flameless heaters are not part of the standard case, but can be ordered if needed. Their website did not list the calories per meal, but other sites say about 1200 calories per meal. Wornick manufactures EverSafe. This is a product that underwent several changes in recent years. Their current MREs consist of 12 meals to a case, with 6 different meals. These provide approximately 1200 calories per meal. Flameless heaters are included. There are still some older production MREs that are packaged 10 to a case being sold by some dealers. These are older and I suggest you avoid them. International Meals Supply manufactures “MREStar”. These come 12 to a case. There are 6 different meals in each case. The meals have from 1100-1300 calories per meal. Flameless heaters are an extra at a cost of $8.00 a case. The above mentioned brands are similar to the military MREs and mostly use the same components. Besides the name brand civilian MREs, produced by the same companies that make them for the military there are several smaller companies that make private label. Sometimes these are called store brands. These MREs are custom assembled in small batches by people or companies that will produce your name brand of MREs. 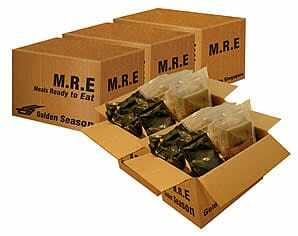 They are often sold under such names as “MRE Full Meals”, “Field Ready Rations”, or just “Meals, Ready to Eat”. 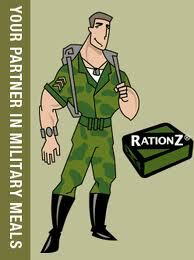 Be careful of businesses that sell them as “Military Rations” or “Military-like MREs” in an attempt to make you think they’re the actual military version of the MRE. Some of these companies are located outside the United States. Golden Season is a Singapore registered company that is selling in the United States. They also manufacture HALAL Meals-Ready-to-Eat for Muslims. Civilian MREs actually offer some advantages over military MREs, the biggest is you know where they have come from. Military MREs selling on eBay may be a bit cheaper, but you don’t know how they have been stored. They may have been sitting in the desert for six months or in someone’s hot garage. You can buy from reliable, legitimate dealers. You have someone to sue if you get food poisoning from your MREs. They are often missing the flameless heater, particularly in the private labels. Military often have more food. There are 12 different meal per case. Remember that these are subject to approximately the same storage requirement as military MREs. 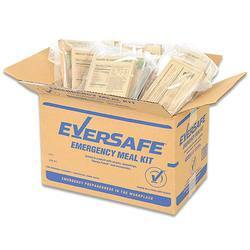 If you are purchasing MREs do your home work first, be sure of what you are buying, in an emergency you want them to be edible. In another post I will compare MREs to some of the other alternatives such as freeze dried, dehydrated foods and others. This entry was posted in food storage and tagged dehyrated, edible, emergency, freeze dried, meals, mre, MREs, storage. Bookmark the permalink.